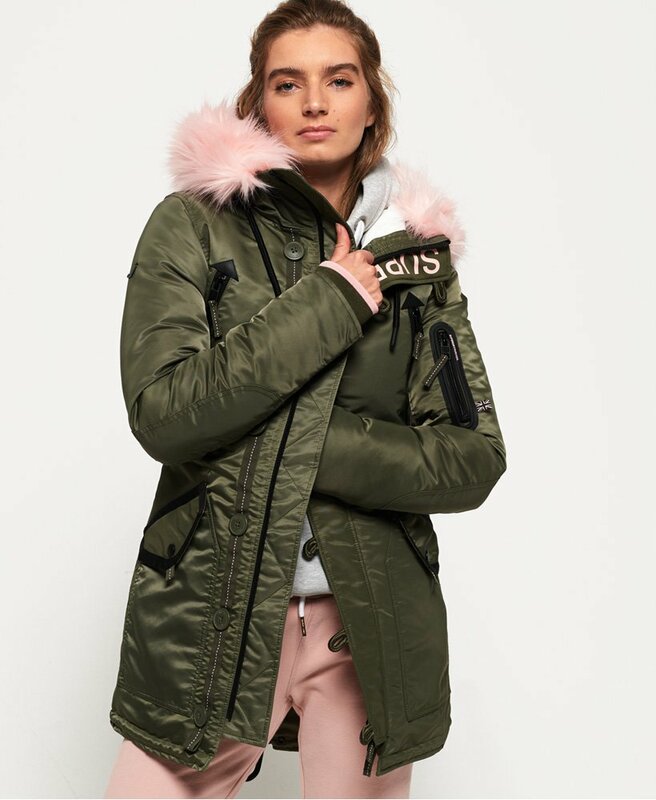 Superdry women's SDL-2 parka jacket. Wrap up this season with this statement jacket. Featuring a drawstring adjustable hood with a removable faux fur trim, six front pockets and a pocket on the sleeve. The SDL-2 parka jacket also features a zip and button fastening, an internal pocket and a draw cord adjustable waist for a flattering fit. For extra warmth, this jacket has a soft layer of padding throughout and ribbed cuffs. This jacket is completed with Superdry logo patches on the pocket and sleeve.